A delicate vintage ring for a lover of yellow gold. A 0.23ct oval old mine cut diamond is prong set in a 14k gold ring, with architecturally-inspired shoulders. Early 20th century made. A fun fact about fine jewelry is that when melted down into a lump, the raw materials still have significant value. Precious gems are pried from settings that have gone out of fashion, the metal scrapped and the jewels re-set in something more current. Of course, sometimes jewelry is sent to the scrapper out of necessity rather than choice. Even Louis XIV was forced to melt down the solid silver furniture in Versailles’ Hall of Mirrors to fund more pragmatic endeavors. Precious metals can be re-melted and refined indefinitely. It’s possible that the gold in your brand new wedding band got its start as a goblet in 12th century France and you’d never know! 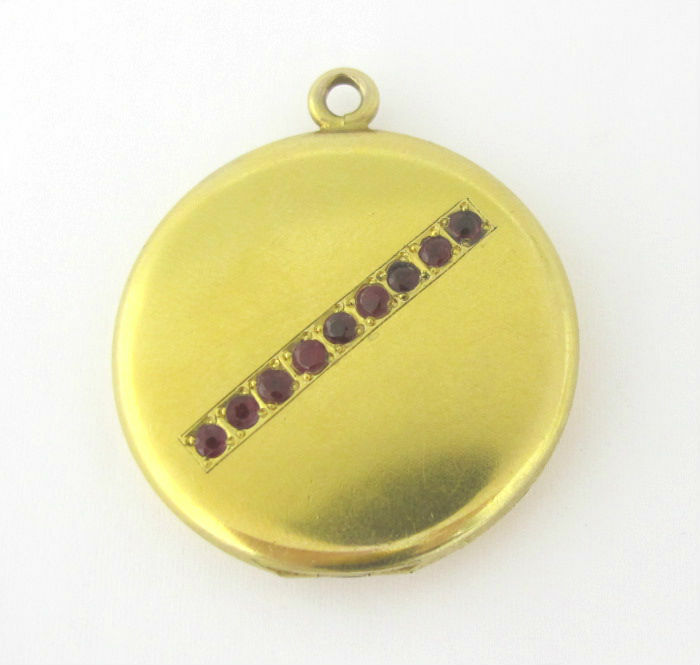 Diamonds, however, can sometimes provide clues that they once belonged to an older piece. Retro cocktail ring in 18k & platinum. 6.4cts of old mine cut diamonds - available at our 47th st. Shop. This giant cocktail ring is pure 1930s glam. It’s bold, it’s modern, and was surely a prized possession of the machine-age lady who had it made. But a close look at the impressive diamond cluster reveals more to this ring’s story. Steep crown angles, small tables, wonky facets and mismatched colors - these stones were clearly mined and cut decades before this ring was put together. It looks like Ms. Machine inherited a big old Victorian brooch from her favorite great aunt. She felt an emotional connection to the piece, but not a stylistic one. The diamonds were salvaged, a brooch became a ring, the cycle continues. Romantic vintage cluster ring for those of you thinking of a special holiday proposal. 14k yellow gold sets off a sparkly 0.67ct old European cut center diamond with sparkly halo surround. 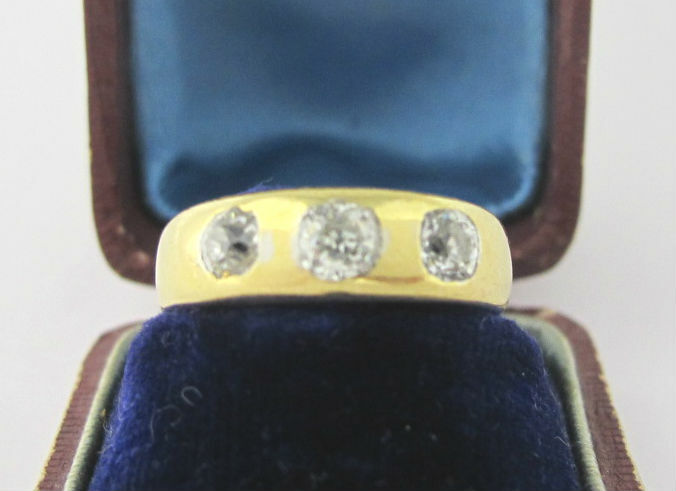 14k yellow & white gold, 0.67ct, I color/SI1 clarity old European cut center diamond w/single cut surround. C. Early 20th century.